Team of five bowlers, one sponsor representative plus four property professionals. Must be a full BOMA-NJ Member. Team of five bowlers, one sponsor representative plus four property professionals. Must be on the 2018 Allied Service Partner Wait-list. SPONSOR A TEAM of Five Bowlers: Sponsor host plus four property professionals! ATTENTION PROPERTY PROFESSIONALS!!! - Do you love to bowl? 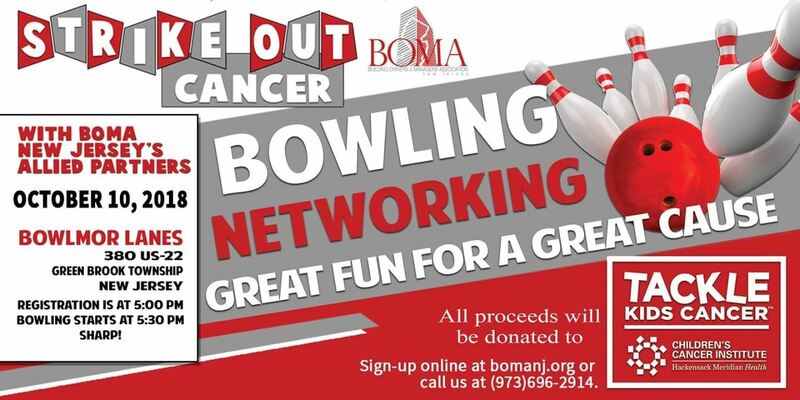 Sign Up Online or Email your name to Melissa or Pat at info@bomanj.org !